Music, a costume contest and adult beverages combine for a ghoulishly good time. Eerie sounds and sights haunt the River Walk while families trick-or-treat. The event is on October 26, from 6:00 to 10:30 p.m., as well as at the Arneson River Theatre and River Walk from 6:00 p.m. to 7:00 p.m. Music plays from 7:00 to 8:00 p.m. with a costume contest from 8:00 to 9:00 p.m.
Hotel Emma will be hosting the James Beard Foundation’s Celebrity Chef Tour dinner on October 28 at 6:30 p.m. 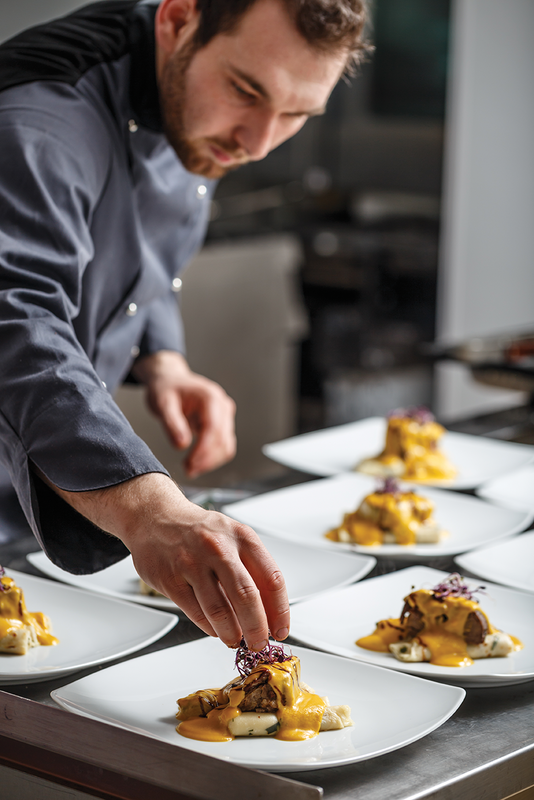 Eight renowned chefs from around the country will showcase their culinary talents at the event, each featuring a signature dish. The night will kick off at 6:30 p.m. with a cocktail reception hosted by Hotel Emma’s Chef John Brand, followed by a dinner benefiting the James Beard Foundation. The dinner will feature dishes from special guests, including Charleen Badman from FnB in Scottsdale, Arizona; Rick Lopez from La Condesa in Austin, Texas; Michael Scelfo from Waypoint, Alden & Harlow in Cambridge, Massachusetts; Steven Redzikowski from Oak in Boulder, Colorado, and Acorn in Denver; Daven Wardynski from Omni Amelia Island Plantation Resort in Amelia Island, Florida; and hometown chefs Tim McDiarmid from Tim The Girl and Steve McHugh from Cured. Dinner and dessert will be followed by a Q&A session with the evening’s chefs. If you haven’t heard of this club, it might be one worth checking out. Members come together at quarterly Boozy Book Club events, at which they discuss a preselected work and learn more about the many services provided by the San Antonio Public Library System. All Boozy Book Clubs are included in membership. Boozy Book Club welcomes First Edition Society Members for free. The First Edition Society is a dues-based group of individuals who support the San Antonio Public Library Foundation and strive to strengthen the library in service to their community. Locally grown in our own backyard, Alamo City Comic Con is one of the largest comic conventions in the United States. The Alamodome will be the place to see 100,000 fans October 26 through 28. Arnold Schwarzenegger will be there, as well as Rick Moranis, Patrick Renna, Natalia Cordova, William Shatner, Daphne Zuniga, Paul Reubens, John Cusak, Billy Zane, Dee Wallace, C. Thomas Howell and a host of others. Don’t miss this awesome lineup, and make sure to check out the costume contest! Arastu also serves as the mayor’s appointee to San Antonio’s Public Art Commission and is the chair for arts and culture for Anuja, the organization overseeing Sister City relations between San Antonio and Chennai, India. Today, Sister Cities International continues to expand its reach and strengthen existing relationships. Members boast exchanges in arts and culture, business and trade, youth and education, and community development that not only bring them friendship, but helps them to tackle the world’s most pressing issues at the local level. Seven highly respected San Antonio attorneys have announced that they have partnered to form Barton Benson Jones PLLC, a new firm concentrating on commercial real estate development, land use, water, property owner’s association, finance, mergers and acquisitions, business start-ups, and corporate law. Formed in 2018, the firm’s partners include J. Cary Barton, Devin “Buck” Benson, J. Bradley Jones, Jerome B. Cohen, Jeffrey A. Walsh, Shanna Castro and Kacy Cigarroa. Other key lawyers in the firm include Yelena Seletskaya, Paul Hunt and Katherine O’Neill. The new firm brings a combined 172 years of legal experience in the San Antonio market, and each of the attorneys have been widely recognized for their expertise, professionalism and integrity. Young people in Olmos Park will have an opportunity to learn about and serve their city. The Olmos Park Youth Commission launches this month, bringing together youth aged 11-18 for community service and to learn about leadership and enterprise. They will get to tour local businesses and meet people from an array of professions. 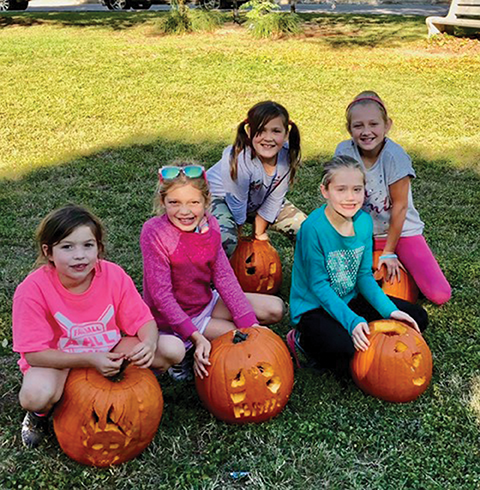 OPYC will officially begin its membership drive as a co-sponsor of Kids 4 Kids with Cancer’s annual pumpkin carving, which takes place Sunday, October 28 at 3:00 p.m. in Olmos Park on the lawn of Alameda Circle. Young people residing in Olmos Park and Olmos Park-adjacent are eligible for membership. By joining OPYC in it’s inaugural year, young people will have the unique opportunity to be designated as a founding member. 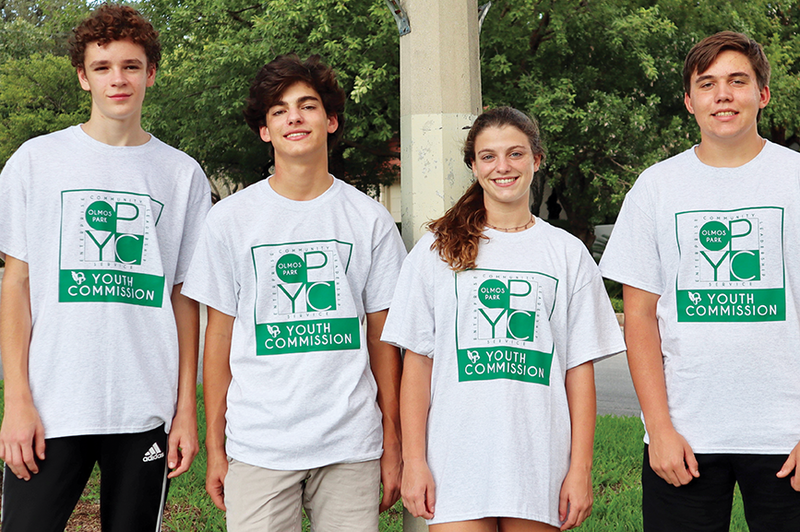 Olmos Park Youth Commission was co-founded by four Olmos Park teen residents: Eli Greenberg, Ava Satel, Henry Satel and Sam Spezia-Lindner.The cost of membership is $30/member annually. Contact: 210-602-2573 with interest or questions.